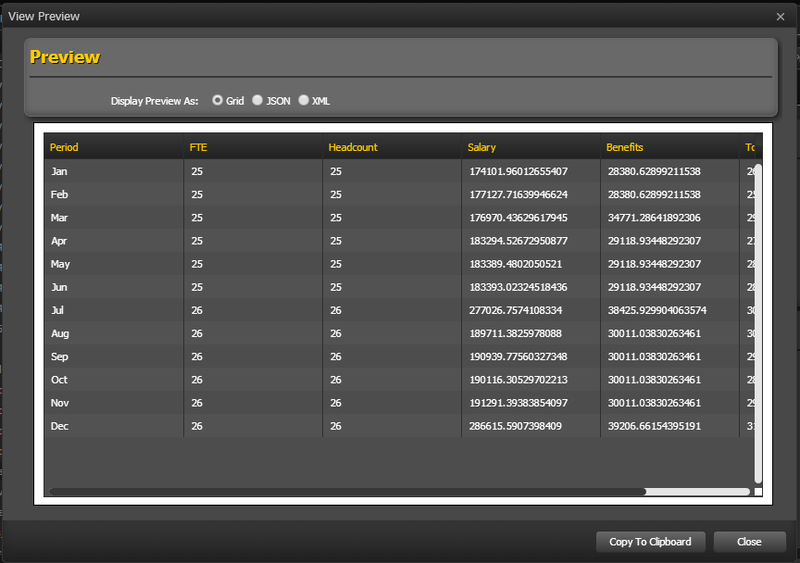 TM1Connect Manager allows you to use existing TM1 views or create custom views to be published as web services. These web services can then be used by QlikView, Tableau and ODBC client applications to retrieve data from TM1 cubes. 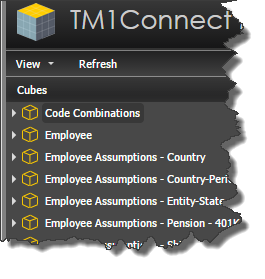 To create a view in TM1Connect, simply click on the Cubes section, and select an existing view, or click on the cube if no TM1 views exist. This will open a new tab with the name of the view in the content section of the Manager and display the properties of the view. At this point, you can set the options required for this view and press the Save or Save As button at the bottom of the screen. This will create a copy of the view in TM1Connect and store it in the TM1Connect server under the same cube. This will be reflected in the Object Navigation Section, denoted by a green world icon in the lower right corner. Although the view is still defined in TM1, the copy remains in TM1Connect until it is deleted. This allows the TM1 view to be updated/deleted without affecting your applications. Any name can be used, no words are reserved. 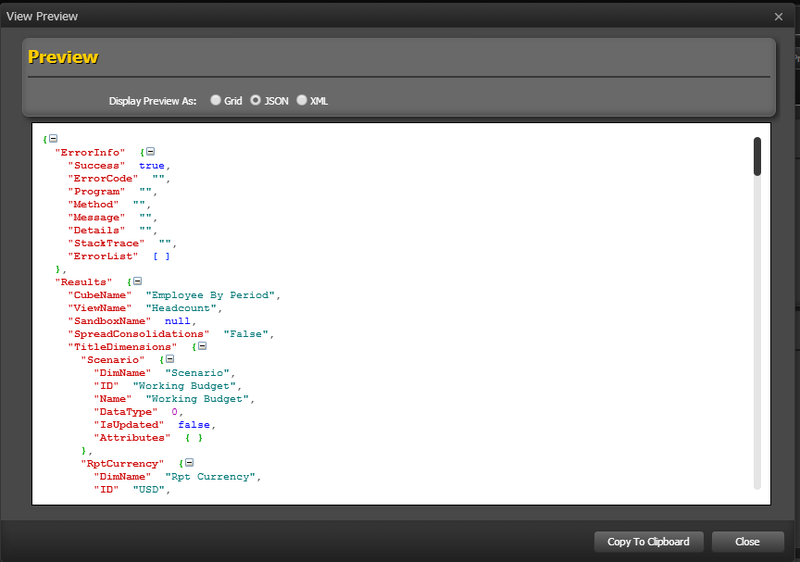 See http://www.w3schools.com/xml/xml_elements.asp for more details. Deleting a view in TM1Connect only removes the view definition it does not delete a view in TM1. To delete a view in TM1Connect, simply click on the view to be deleted. When the properties are displayed in the content section, simply click the Delete button. You may also view the results in JSON or XML format by selecting the radio buttons at the top of the Preview dialog.